The European Court of Human Rights ruled today that the constitution of Bosnia and Herzegovina violates the rights of a minority returnee in barring him from running for the Presidency. Minority Rights Group International (MRG), which filed an intervention in the case, welcomes the Court’s judgment in the case of Pilav v. Bosnia and Herzegovina. 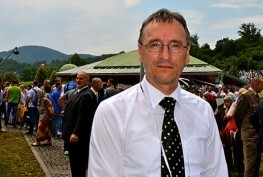 Ilijaz Pilav, a Bosniak doctor who survived the Srebrenica massacre during the 1993-1995 Bosnian war and returned to his home following the conflict, argued that the state Constitution, established under the Dayton Peace Agreement, is discriminatory in preventing him from running for the Presidency. The Constitution and electoral legislation currently state that only persons belonging to the major ethnic groups in the part of Bosnia and Herzegovina in which they live can stand as candidates for certain high offices. Mr Pilav, a Bosniak who lives in the Serb-majority part of the country, is thus constitutionally barred from running for a seat in the country’s collective Presidency. ‘The Court has made it clear today that such a strict limitation on minority political participation violates fundamental democratic principles and human rights standards,’ states Evelin Verhas, MRG’s Legal Cases Officer. The Court’s ruling is a major step forward in Europe’s struggle against discrimination by establishing that ethnicity-based restrictions to stand for election have no role in a democratic society even when they are only applied to a specific geographical area within a country. ‘The Court’s stance is particularly important when such restrictions could cause members of minorities to move from their communities or discourage those who have been forcibly displaced from returning home,’ Verhas adds. 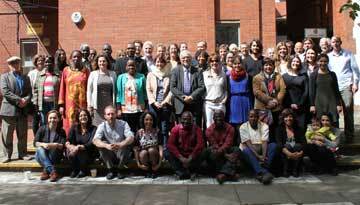 MRG’s legal team, together with Human Rights Watch, and the Holocaust, Genocide and Human Rights Program at the Benjamin N. Cardozo School of Law — along with counsel Chadbourne & Parke LLP International Arbitration and Public International Law practice group — filed an intervention on 18 February 2014 before the European Court of Human Rights supporting the case of Mr Pilav. Minority Rights Group International is a non-governmental organisation working to secure the rights of ethnic, religious and linguistic minorities and indigenous peoples worldwide. The intervention by MRG was submitted and this press statement is produced within the EU funded project “Supporting Minority Victims of Discrimination in Accessing their Human Rights”. The contents of the intervention and press statement are the sole responsibility of Minority Rights Group International and can in no way be taken to reflect the views of the European Union.